Born at Warracknabeal in 1892, James Sack was a son of Frederick Sack and Martha Rogers. Frederick was a watchmaker and moved his family to Hamilton around 1904 and they resided at 46 Martin Street. James was a good footballer, playing with the Baptist football team and later the Caledonian football team. He was described as a “clean, clever and consistent proponent of the game.” A sporting all-rounder, he was also good at tennis, rifle shooting and athletics and was a member of the YMCA. His friends said of James, his word was his bond. In the years before he enlisted, James was managing his father’s businesses in Willaura and Warrnambool. He joined the South Warrnambool Football Club and St Johns Tennis Club. 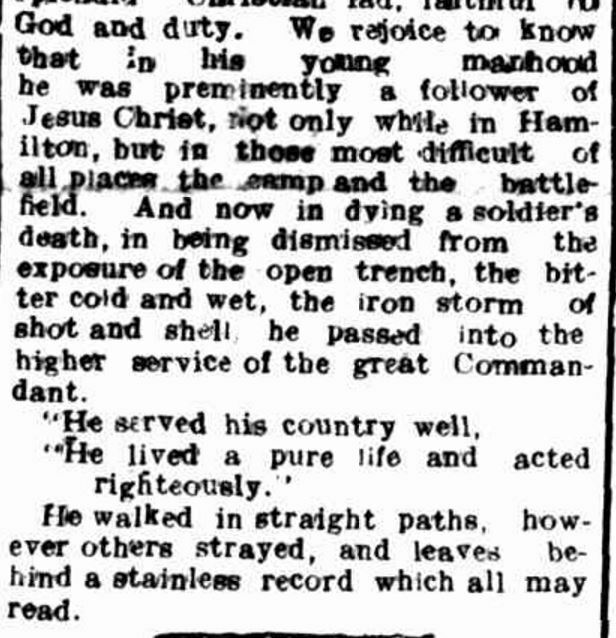 In July 1915, James enlisted and was given a gold fountain pen by the Hamilton Baptist church on 1 August 1915. James started with the 22nd Battalion, 22nd Reinforcements, but left Australia with the 8th Battalion, 8th Reinforcements. He arrived at Gallipoli on 7 December 1915 but wasn’t there long because on 15 December the evacuation of Gallipoli began and by 19 December the 8th Battalion was at Mudros. They arrived back in Alexandra on 7 January 1916. On 31 March 1916 James, part of the 6th Section, 6th Platoon of B Company arrived at Marseilles and the following day the battalion caught a train to Bailleul in Northern France then marched to Steenwerck. By 1 May 1916, the battalion was at Fleurbaix and into the trenches by 15 May. A month later they were at Messines and during August 1916, James was promoted to Lance Corporal. On 4 November 1916 in preparation for the Battle of Gueudecourt, James and his battalion moved into Switch Trench just north of Flers. There had been heavy rain and the trenches were awash. On 8 November, the weather was fine but the ground was sodden. The men worked on digging Assembly Trench but there was heavy shelling and two men were killed and five wounded. 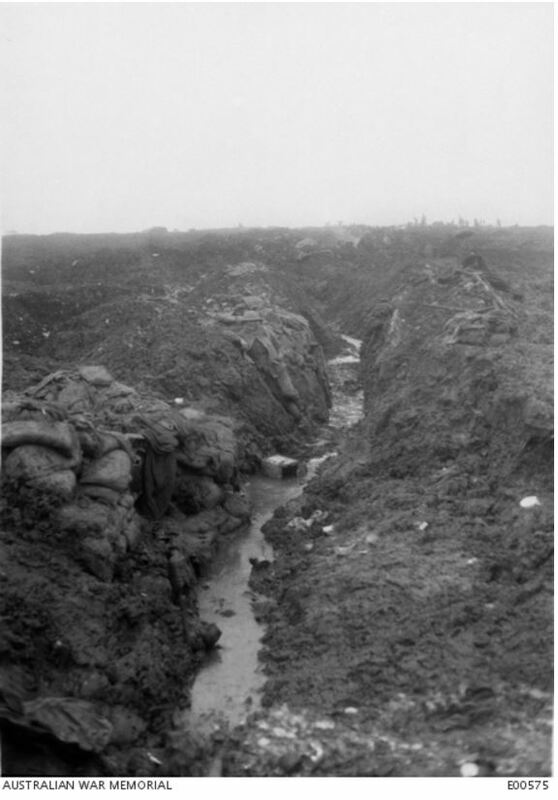 By 9 November the weather was sunny and members of the 8th Battalion were digging Assembly Trench. Enemy activity was increasing and there were enemy planes flying overhead making it necessary to abandon the trench digging. James Sack was reported as killed on 9 November however no men were reported as killed or wounded on that day. It is possible he was killed on 8 November when two lives were reported lost. At the time of his death, James was buried near Bull’s Run Trench but his body was never recovered. “Family Notices” Hamilton Spectator (Vic. : 1870 – 1918) 21 December 1916: <http://nla.gov.au/nla.news-article129392502&gt;. A tree was planted for James along Hamilton’s Anzac Avenue and his name is on the Hamilton War Memorial. A memorial window was also unveiled at the former Hamilton Baptist Church and was removed to the current Baptist Church in Gray Street, Hamilton.